Snapchat is a versatile little messaging app that’s famous for its self-deleting messages (or Snaps.) It’s easy to download and pretty intuitive to use, but what if there comes a time that you decide you don’t want Snapchat anymore? Below, I’ll tell you how to delete your Snapchat account — permanently. I’ll get to the heart of deleting your Snapchat account in a moment (just scroll down if you’re in a hurry), but first, a little background information on the app. Most brief tutorials of popular apps usually begin with “in case you’ve been hiding under a rock.” I don’t like to think that way, because I know that the app scene is a crowded place, especially the social media app scene. There are dozens, if not hundreds, of social networking apps out there (or at least, apps that have a social element added to them), with more coming out every day. Many of these apps have their own communities, and within those communities there’s some stuff you have to learn before you can begin to interact (such as how to post or respond to posts), but there’s a whole lot more that you just sort of pick up as you go along. After a while, all of this data becomes so old hat within the community that people tend to forget that there was ever a point when that information wasn’t already known. This is why you will have people within these communities who can be really condescending to people outside, who don’t necessarily understand the ins and outs of all of the numerous social avenues that are out there. And even something with as famously a straightforward an interface as Snapchat still has a few less than obvious features that aren’t immediately apparent to most users. Which is why we here at Appamatix have written a few things about this app, whether it’s how to edit the photos in your snaps in app, how to delete messages and conversations, or even how to use the mobile app on your computer. So, even if you are perfectly in the know, there’s always something else to learn. Snapchat is a messaging app for sending text messages and pictures. Of course, it is primarily used for pictures, because what separates Snapchat from a good number of the other social apps out there is that its messages are self-deleting. Once you’ve been sent a snap (which is what these self-deleing messages are called, within the community), you can look at it for a few seconds, but if you scroll away, switch to another screen, or just let the time run out, the app automatically deletes what you’ve been sent. This caused a huge reaction when the app first came out. It sounds minor, but this self-deleting feature made Snapchat fill a void that had existed in mobile messaging to that point. Two voids, actually, but the second wasn’t a large one. Snapchat is quite attractive to people who like to send and receive photos in their messages, but don’t want those photos clogging up their phone until they try to download a new app, find out that their hard drive is pretty much full, and then have to spend several wearisome minutes deleting all the pictures they had taken only to send to somebody else. Of course, data management is not the prime reason this app took off. That honor would go to its utility in sending more… shall we say “private” messages? So Snapchat has developed a reputation (earned or otherwise, I cannot say) for being a texting app. But just because that’s how it’s used sometimes doesn’t mean that that’s all its good for. If Snapchat is so popular, of course, that raises the question of why someone would even want to delete it. Of course, every app is going to have its malcontents, but those sorts of people usually aren’t even going to download the app in the first place. One reason someone might have for deleting the app is that they were just trying it out and have grown tired of it. If you take a look at my App Store “Purchased” page (please don’t) you’d see dozens of crap apps that I’ve tried out for a little bit and then deleted without another thought (except, occasionally, Dang it, Apple—I had this app on my phone for five minutes! Is there any way I can delete this from my apps list, so I can find the things I actually want to use? )—a good number of those are apps I tried out researching articles for this site, but not all of them. Another reason someone may want to get rid of their Snapchat account is they have have just “grown out of it.” I put that in quotes because I don’t mean to imply that Snapchat is an app for the immature. Rather, each of us go through phases, and sometimes we’re drawn away from the things that once excited us. Of course, another reason someone might be drawn to delete their Snapchat account is the reputation of Snapchat itself. With more and more phone hacks, and more and more celebrities and politicians embroiled in scandals, Snapchat is quickly becoming a household name. And especially in the wake of the Ashley Madison hacks, someone might not want a loved one seeing that little ghost icon on their phone and immediately assuming there’s some cheating or other untoward behavior going on. Whatever your reason, if you have decided to get out of a social media group, it is always best to actually delete you account. Otherwise, all of your old accounts are still out there in cyberspace, continually giving people an insight into your life that you might not want them to have. Fortunately, Snapchat has made it relatively easy to delete your account. When I said above that deleting your Snapchat account was easy, I meant it—it really is. But I did qualify it with relatively, because there is one little hitch: Even though Snapchat is primarily an app, and there’s no Snapchat approved way to officially use the app on your computer, if you want to delete your account, you’ll have to go to the Snapchat website. You cannot do it from the app. I’ve poked and prodded every corner of that app, and can’t find the right links or buttons. If you’ve had better success, please let me know in the comments, but I believe Snapchat has made that obscure specifically so people won’t accidentally delete their accounts. Still, just because you have to go to the web page, that doesn’t mean that you have to do so from a computer. The link I supply below should still work from a mobile device such as an iPad or iPhone, and it should work in any browser. 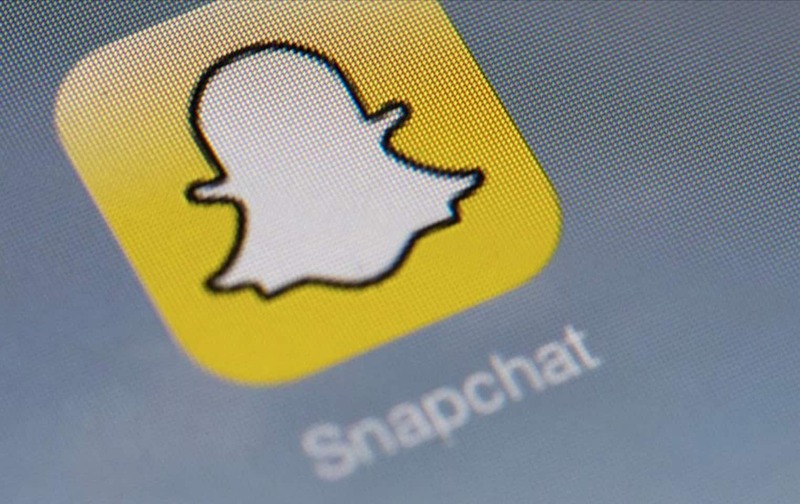 So, here’s the exact process you’ll need to go through to delete your Snapchat account. Be warned, though, this deletion is permanent. If you have second thoughts afterward, you’ll have no options for using Snapchat except for setting up a brand new account, and re-acquiring all your friends and contacts one by one by one..
You will be prompted to log in. Enter your user name and password to do so. The next page will prompt you for your password again. This is normal. If you have any questions about the process above for how to delete your Snapchat account permanently, feel free to mention them in the comments. Also, if there’s another process that you’ve used that works for you, or if what I’ve spelled out here wasn’t any help, once again — let us know. And in the meantime, have fun out there in texting-land, but keep an eye on your digital footprint.